In the wake of increasing demand for green products globally, experts yesterday suggested framing rules for making the textile industry environmental complaint for enhancing its competitiveness and sustainability. They also made a set of recommendations, including giving financial or fiscal incentives to encourage entrepreneurs to low-cost cleaner production practices and making aware that the reduction of energy consumption can be a real cost-cutter. 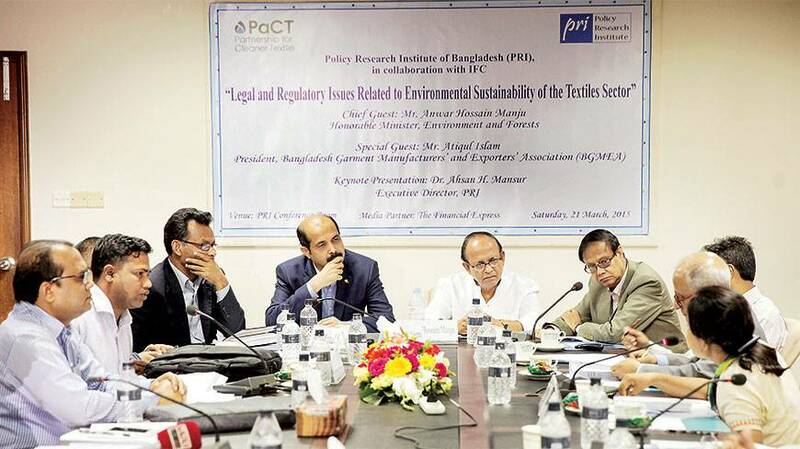 The recommendations were made at a seminar on “Legal and Regulatory Issues Related to Environmental Sustainability of the Textiles Sector,” organised jointly by Policy Research Institute (PRI) and International Finance Corporation at the PRI conference room. Speaking at the function, Environment and Forest Minister Anwar Hossain Manju said his ministry had put its best efforts to improve environment in the country. “There are lots of regulations but effective implementation of them is important to reduce pollution,” he said. BGMEA President Atiqul Islam said ensuring quality and environmental matters in the factories is increasingly becoming a global issue. Atiqul Islam added the textile industry uses ground water as it contains less chlorine. He laid emphasis on financial support at lower interest for implementing the environmental issue. Senior environmental adviser to GIZ in Bangladesh Tanuja Bhattacharjee said rules and proper guidelines are necessary to make textile industry competitive as environmental sustainability is becoming an increasingly important issue in international arena. “It is high time to look at the issue so that we can set example before the world,” she said. She said GIZ is going to launch mobile testing water wastage programme by June next to identify the level of environment pollution in the textile industry. Assistant Chief of Ministry of Environment and Forest, Khalid Hassan said the ministry is in the process of enacting Land Zoning Act to help make cluster textile industry outside of the city. Chief Operating Officer of Comfit Composite Limited, Md Kawser Ali described that how his company had reduced use of water by adopting environment-friendly technology. PRI Executive Director Ahsan H Mansur emphasised the need to address the environmental issue before being late for keeping the environment clean for generations to come. He presented a paper at the seminar putting a number of recommendations, including differentiating water tariffs based on locations, strengthening enforcement and monitoring, tax and duty rationalisation for encouraging environmentally-friendly investment goods and for discouraging hazardous chemicals. The paper said although data on the extent of washing dying and finishing firms with effluent treatment plants (ETPs) are not readily available, the perception of experts is that the coverage is very low at around 30%. Without the full coverage with ETPs along with strict enforcement of rules, the water pollution could not be addressed, it said. An assessment of four firms shows that 3 of 7 best practices cost less than Tk4.1 lakh each, two of them cost almost nothing. None requires more than 15 months to recoup the costs and the improvements could reduce water and energy consumption by up to 25% as well as reduce chemical use significantly, according to the findings. ** This post was sourced from Dhaka Tribune here. 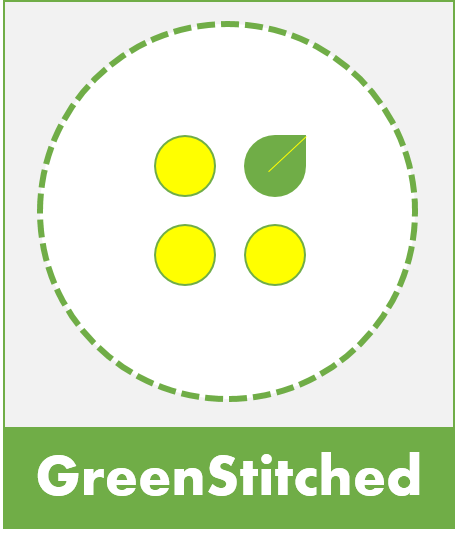 This entry was posted in Manufacturing and tagged Bangladesh, Environment, GIZ, Textile, Water. New fabrics make recycling possible, but are they suitable for high street?